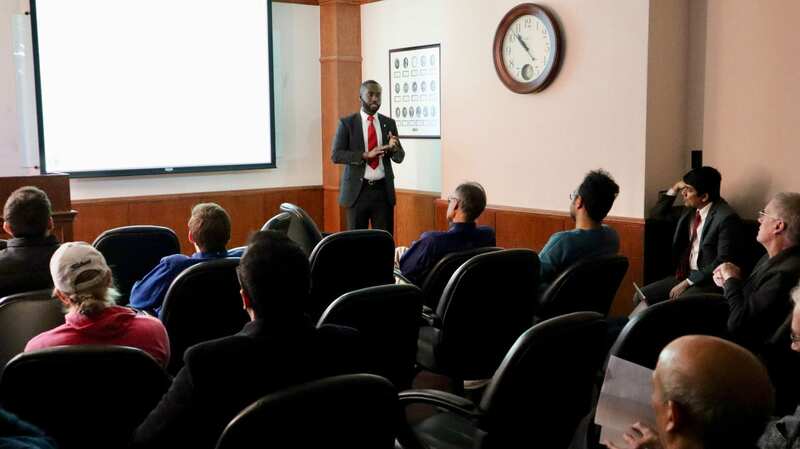 On Friday, February 8, AME hosted a seminar from Chinedum Peter Ezeakacha, a post-doctoral research associate at the Well Construction Technology center at OU. In his research, he speaks about performance verification and material testing of liner hanger sealing components for oil and gas application. Abstract: Drilling operations, particularly in an offshore environment, require special tools and equipment. Liners and liner hangers are commonly used in offshore drilling applications instead of full string casings. When a well section is drilled, liner hanger and cement are used to engage and seal off the liner, connecting it to the previous casing. Typically, the liner hanger seal assembly is placed up-stream to the cement column. This arrangement prevents the independent evaluation of the integrity of both mechanical barriers (cement and liner hanger seal) after installation. The report from an oil and gas regulatory agency highlighted that the cause of a recent underground kick with this type of arrangement can be linked to the failure of he mechanical barriers under the operating conditions. While some of the design criteria for liner hangers are obtained from API 17D (Design and Operation of Subsea Production Systems – Subsea Wellhead and Tree Equipment), there is currently no standard that specifically addresses liner hangers or seals, nor how to test them. In this seminar, the performance of cement sheath and elastomeric seals used in liner hangers will be presented. Different downhole conditions in which these mechanical barriers can fail were simulated. The scope of the project necessitated a cross-disciplinary investigation involving the knowledges from mechanical engineering, petroleum engineering, and civil/material engineering. Thus, the barrier testing protocols were developed in consonance with the key questions raised by the agency, existing practice in 30 CFR 250.425, as well as ASTM and ASME standards. The summary of the findings in this study points towards testing the mechanical barriers for the anticipated downhole conditions before deploying them, particularly in gas-migration prone zones. In this study, the term “barrier(s)” defines the use of cement sheath and the liner hanger sealing assembly to prevent uncontrolled influx and migration of formation fluid to a shallow formation or surface facilities. 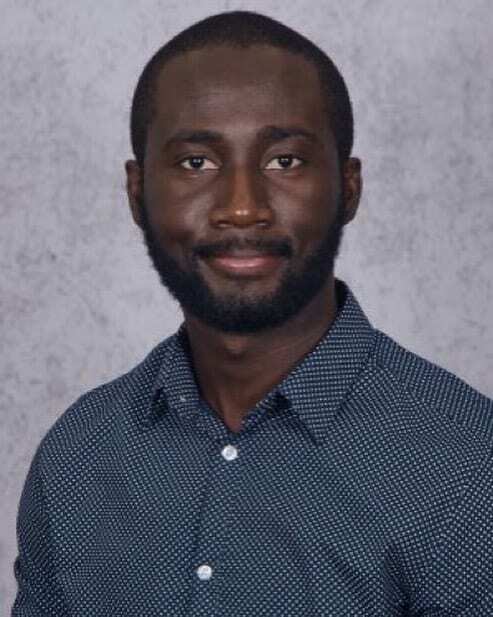 Biography: Chinedum Peter Ezeakacha is a post-doctoral research associate at the Well Construction Technology Center, The University of Oklahoma. He holds a B.Sc. in Chemical Engineering from Nnamdi Azikiwe University Nigeria (2009). After his bachelors’ program, he worked with ExxonMobil in Nigeria as a petroleum engineer from 2010 to 2011. Before enrolling in graduate school (spring 2013), he provided field support for installation, operation, and maintenance of compressed natural gas and pressure reduction stations for NG Equipment and Systems Ltd Nigeria (2011 to 2012). From 2013 to 2015, he instructed three lab sessions (well control, drilling fluids, and petrophysics), and one class (drilling engineering) at The University of Louisiana at Lafayette. In December 2014, he earned a M.Sc. in Engineering from UL Lafayette. Chinedum received his Ph.D. in Petroleum Engineering from the Mewbourne School of Petroleum and Geological Engineering at The University of Oklahoma in December 2018. During his 6-year graduate program in both colleges, Chinedum had 4 scholarships and 3 travel grants/support. He participated in 12 regional, national, and international graduate student research paper contests out of which won the 1st place award three times, 2nd place award once, and 3rd place award twice. He also participated in the SPE International Petrobowl Competition in 2014 as a player (placed 5th in Amsterdam The Netherlands), in 2015 as a coach (placed 4th in Houston Texas), and in 2016 as a coach (placed 2nd in Dubai UAE). Chinedum has presented more than 12 papers at several regional, national, and international conferences, meetings, and symposiums. He has published 9 papers in 5 journals (JERT, JPSE, JNGSE, Polymer, and JPEPT) and 14 conference papers (ASME OMAE, SPE, IADC/SPE, AADE, and ARMA). His research interests are in well integrity, downhole tool/material performance, design of experiments and data analysis, and wellbore stability.